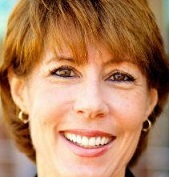 Gwen Graham lost the Democratic primary for governor in Florida in 2018. She won Florida's second district seat in the U.S. House in 2014 and served for one term. She is the daughter of former Florida Gov. Bob Graham. Says the 2015 vote on the American Security Against Foreign Enemies Act "was not a vote to deny access to the U.S."
"In Congress, @RonDeSantisFL was the DECIDING vote AGAINST our state's right to protect Florida waters from drilling."